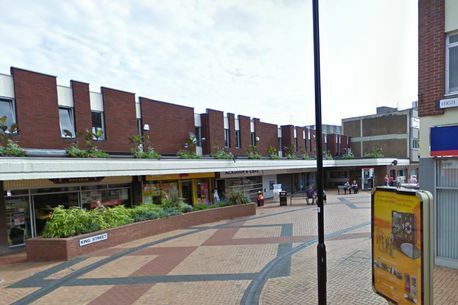 Beggars in Bedworth town centre have been warned to stop by cops - or risk further action. Bedworth Safer Neighbourhood Team (SNT) officers have revealed that they have given warning notices given out to two men. It follows a string of reports about them begging in the town centre. Bedworth Cops said: “Two male's repeatedly reported for begging in Bedworth town centre have been issued warning notices. If they continue this will lead to a Committee Protection Notice. It is the first wave of action against begging in Bedworth and follows on from similar operation in Nuneaton town centre. Officers gave out six official warnings to beggars around the town centre following reports of aggressive and intimidating behaviour. They also warned that Community Protection Notice could follow if the warnings were not listened to. A persistent beggar will face going to court after being caught asking for cash in Nuneaton town centre after being warned to stop. The man, who has not been identified, had been given a Community Protection Notice (CPN) by cops for begging. But on Thursday, November 22, police caught the man, who is not homeless, begging again. He was taken to Nuneaton Police Station and was interviewed for breaching his CPN. A spokesperson for Nuneaton Safer Neighbourhood Team explained: "A file will now compiled and he will be summoned for court for begging, breach of his CPN and we will attach a Criminal Behaviour Order (CBO) which will contain certain conditions." I somehow doubt this is a genuine report and intended more as a warning to potential beggars.